Wikipedia, the source of all truth, says that Nabal in 1 Samuel 25:25 is “euphemistically translated as fool.” So far as I can tell, it’s always translated as fool or something similar. I can’t seem to find a dirty meaning for “nabal” anywhere. Is that because mainstream scholarship is too prudish or is Wikipedia talking nonsense? I’ll complain about Wikipedia another time, for now just noting that I took a look at the article and I could find very little right about it. I don’t think that “fool” is a euphemism here. A common argument runs along the lines of, “Paul believes X, so here in Paul’s writing we have to make our translation say X.” For example, in translating Galatians 5:6 (recently discussed here, here and by me here), some people try to figure out what Paul believed about circumcision, faith, and love not only to understand what he meant but also to figure out how to translate the verse. To see how poorly this works, we have only to look at something considerably simpler than faith versus works. One point of Galatians 5:6 is that circumcision is irrelevant: “neither circumcision nor non-circumcision counts for anything” (NRSV). But four verses earlier, Paul says, “if you let yourselves be circumcised, Christ will be of no benefit to you” (NRSV again). So which is it? Is circumcision irrelevant (5:6) or detrimental (5:2)? Of course, it’s both. In Galatians 5:2, Paul begins his claim that circumcision is part and parcel of following OT law more generally, and that following that law is the wrong path; in Galatians 5:6, Paul presents his understanding of the right path. But in an effort to harmonize the two verses, some translations — wrongly, in my opinion — translate peritemnisthe as “accept circumcision” (ESV, NJB) rather than just “be circumcised.” I think the mistake here (and elsewhere) is not realizing that some ideas require more than one verse. A conversation started by J.R. Daniel Kirk at Stories Theology (picked up by BBB here), addresses two questions: What does energeo mean in Galatians 5:6, and have translators purposely mis-conveyed the relationship between faith and love? Let’s take a look at the verb first. Activities and things, too, can energeo, as we see in James 5:16*, where prayer energeos. Matthew 14:2 demonstrates another typical use of the verb. There it’s dunamis (“power”) that energeos. And in Galatians 3:5, God energeos dunamis. Expanding our investigation into the OT, we see in Numbers 8:24 that the Levites are to energeo in the tent of meeting (“tent of witness” in the LXX). All of this suggests that energeo is what’s known as a light verb — a verb that gets its semantic content largely from the words around it. Furthermore, a more careful look at James 5:16 shows us something else, because there energeo is used in conjunction with ischuo, leading to the NRSV translation, “the prayer of the righteous is powerful (energeo) and effective (ischuo).” In Wisdom 18:22 we see the related nouns ischus and energeia used in parallel for “…not by ischus of body nor by energeia of weapons…” (NRSV: “…not by strength of body, not by force of arms…”). When we see energeo and ischuo together in Galatians 5:6, one very good possibility is that they are nearly synonymous, both because we already see them used in parallel, and because they are light verbs. If so, the point there is that un/circumcision doesn’t ischuo, but faith does energeo, where the two verbs are used essentially synonymously. The NRSV translation that un/circumcision doesn’t “count” but faith does “count” captures the semantics. One objection to such a reading might be that energeo here is a participle. To see the difference in the two possible readings, we can look at Luke 22:45, which has similar structure. There we find, aggelos ap’ ouranou enschon auton, “an angel from heaven strengthening him.” The point is not that the angel strengthened him from heaven (I don’t think), but rather that an angel from from heaven strengthened him.” Greek grammar, unlike English, allows for both possibilities, though. Similarly in Galatians 5:6, the two possibilities are that “faith works through love” and that “faith through love works.” Because of the rest of the sentence, it seems to me that it’s hard to rule out the latter. So one possibility runs along the lines of, “…circumcision doesn’t matter, nor non-circumcision; only faith through love counts.” And if so, the question becomes what is “faith through love”? Understanding the verb won’t tell us the (purposely vague?) connection between “faith” and “love” here. Q&A: Who is the Wonderful Counselor? 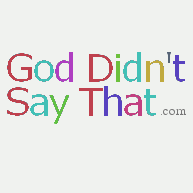 Polycarp asks on the About page how “wonderful, counselor” of Isaiah 9:5 (9:6) should be translated. It’s a difficult question with a longer than usual answer. But here goes. As with “Prince of Peace,” we assume that the title “wonderful, counselor” — whatever it means — describes God after whom the child in Isaiah 9 is named, not the child himself. But translating the two-word combination is tricky. As I point out here, one way of looking at things holds that there were no miracles in the Bible, because miracles are by definition extra-scientific, and there was no science in the Bible. So many people prefer “wonder” for peleh. When we see peleh used here as what God is — rather than what God does — the word stands out, and I think that the attempt to turn “wonder” into “wonderful” through translation is probably misguided. On the other hand, the whole notion of giving people names that describe the deity after whom they are named is so foreign to most English speakers that whatever we do will end up sounding a little odd, so maybe we may as well stick with “wonder” here. The Hebrew for “counselor” is yo’eitz. The word is used frequently enough in parallel with other words and phrases that we know that a yo’eitz is wise (e.g., Isaiah 3:3), that a yo’etiz can consult to a king (e.g., 1 Kings 12:6), and that kings can have more than one (2 Chronicles 22:4). We also see it used in parallel with such words as “prophet” (navi) in Isaiah 29:10 and “judge” (shofet) in Isaiah 1:26. Accordingly, it looks like “adviser” or “counselor” is a pretty good bet, but the emphasis of the Hebrew word seems to be on the qualities of what the person is, not what the person does. The difference is sometimes hard to appreciate, but for an example we can compare “attorney” (what a person is) and “litigator” (what a person does), though the analogy isn’t perfect. So what are the words doing together? Isaiah 9 is not the only place we find what looks like a combination of peleh and yo’eitz. We see it in Isaiah 25 and Isaiah 28, too. Isaiah 25 is a self-contained text that describes God’s victory over evil. 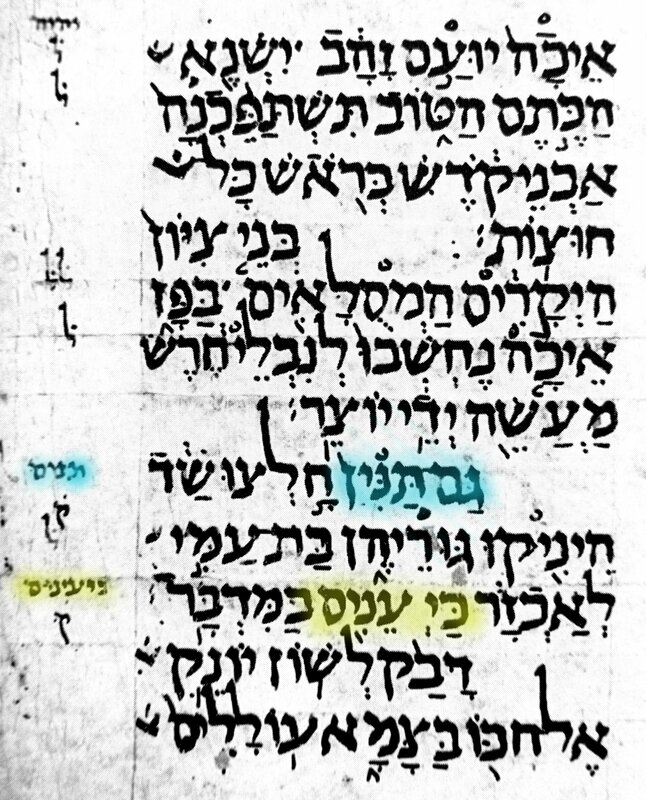 The end of the first verse proclaims that God “does/did peleh,” adding in parallel “eitzot from afar,” (presumably “from a long time ago”) — the word eitzot is the plural noun connected with the verb yo’eitz. It’s not clear if this passage is meant to reflect actual history or not, but either way, the combination of peleh and a word related to “counselor” is interesting and confusing at the same time. How is peleh like eitzot? Why are they in parallel? And does the odd juxtaposition of the two concepts here connect to Isaiah 9? And again, it’s not clear if this phrase is related to Isaiah 9. But it does seem clear that, at least in these two passages, “counselor” isn’t quite right. Who is there for God to counsel? Rather — and this accords with what we saw before — it looks like the word focuses on not on what the counselor does (that is, counsel) but rather what the counselor is (smart? wise? something else?). All of this brings us back to Isaiah 9, and the phrase peleh yo’eitz. Both of these words seem to describe what God is (though for peleh this is an atypical usage), but beyond that we have more questions than answers. The biggest question is whether these are two concepts or whether — as translations commonly indicate — peleh modifies yo’eitz. And even here Hebrew grammar helps us only a little. Normally when two nouns appear side by side in Hebrew, it’s the second that modifies the first, not the other way around. So melech Shin’ar, just for instance, is a king of a place, not a kingly place. So peleh yo’etz could be a counselor-like wonder. But some words, because of their semantics, allow both possibilities. And “wonder” is such a word. So even though the Hebrew could mean “counselor-like wonder” (if the two words were connected), it could also mean “a wonder of a counselor,” which is to say, basically, a wonderful counselor. But because the words for “wonder” and “counselor” appear in parallel elsewhere, I think that they are meant to reinforce each other, not modify one another. So “wonderful counselor” certainly doesn’t do the trick of conveying the Hebrew words. But neither does “wonder, counselor,” though it comes closer. I think “wonder” is okay. But the problem with “counselor” is that — at least to me — it indicates actual counseling, whereas the Hebrew yo’eitz, as we saw, reflects certain innate qualities, not actions. Beyond this it’s hard to know what nuance to try to capture in translation. “Wonder, Genius” might be the point, or, “Wonder, Knower,” though I suspect that there’s a better pair of English words lurking somewhere. I was wondering about Lamentations 4:3. All modern translations seem to agree that it mentions jackals, but the KJV translated it as “sea monster,” which commentaries then took to mean “pelican” (on the basis that pelicans were thought to feed their young with their own blood, a myth of good parenting that’s relevant to the context). How could the KJV have got it so wrong? Its not as though they’re similar animals. And is the modern translation certain? It’s a great question, for three reasons. First, it demonstrates the sort of translation problem that arises when there are divergent opinions about what the text is. Thirdly, the question highlights the metaphoric use of animals, and why that can be a translation challenge. To understand Lamentations 4:3, and texts like it, we need a bit of background about where the text of the Hebrew Bible as we now know it comes from. The exact text of the Hebrew Bible as it appears in today’s printed editions was redacted by a group of people (really, more than one group) called the Masoretes some 1,100 years ago. The Masoretes put in the vowel marks to augment the older consonantal text. They also made notes where they thought the consonantal text was wrong. But because they respected the traditional text so much, they didn’t actually change the printed text that they thought was wrong, relying instead on extra-textual notes to guide the reader. The official text as it’s printed is called the “written” text and the official correction is called the “read” text. Hebrew has two words, tan, usually translated “jackal,” and tanin, usually translated “sea monster” in English and drakon in Greek. The plural suffix -im in Hebrew turns tan (“jackal”) into tanim (“jackals”), a word that sounds a lot like tanin. That is, “jackals” and “sea monster” sound very similar. Though Jewish religious communities assume that the “written” text is the right one, translators shouldn’t always make that assumption. Here, though, the plural verbs in the Hebrew make the singular tanin impossible; unless the verb is wrong, the subject cannot be the written tanin. On the other hand, the Greek LXX translates drakontes here, as though the Hebrew were taninim. The KJV seems to have translated the LXX (or maybe the “written” text, but probably the LXX) here. What are Jackals and Sea Monsters? The second issue is more difficult. How do we know what tan or tanin means? “Jackal” is a fine guess for tan, based on Isaiah 43:20, where the tanim are “field animals,” probably “wild animals”; and based on Malachi 1:3, where tanot (female tanim) live in the desert. But these could also be “hyenas” or “coyotes” etc. Also indicative of the confusion, we see “jackals” in most translations of Psalm 63:10, but the Hebrew word there is different. So even if tanim are jackals, and even if y’einim (in the second half of Lamentations 4:3) are ostriches, “jackals” and “ostriches” still might not be the right translation. The poetry of Lamentations 4:3-4 seems to rely on taking the image of “jackal,” normally a sign of destruction, and suggesting that even the jackal is better than what Zion has become: the tongue of the nursing infant goes thirsty (Lamentations 4:4) whereas even the jackal (4:3) nurses its young. I don’t think that “jackal”/”ostrich” conveys that progression. I wonder if “rat” would be a better translation here, because to me when a city is overrun it’s overrun with rats: “Even the rat nurses its young…” is the point.